Congratulations to the winners of the 2018 Ugly Holiday Sweater Contest! 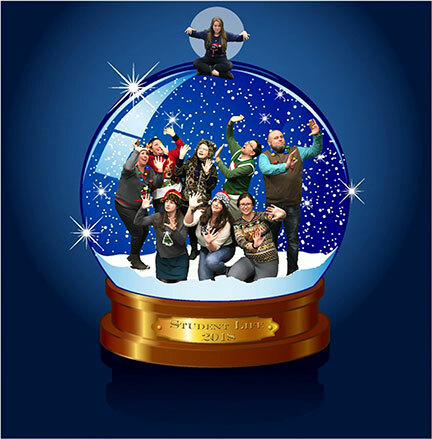 Congratulations to NMC’s Student Life team, winners of the 2018 Ugly Holiday Sweater Contest and the coveted contest trophy! The winning submission was determined via applause-o-meter at the NMC Holiday Party Friday, Dec. 14. Other outstanding entries included the Business Office, Dennos Museum Center, Extended Education and the University Center! We’re already looking forward to NEXT year!